"Don't you dare come near"
If you think it was an old missile, you're mistaken. 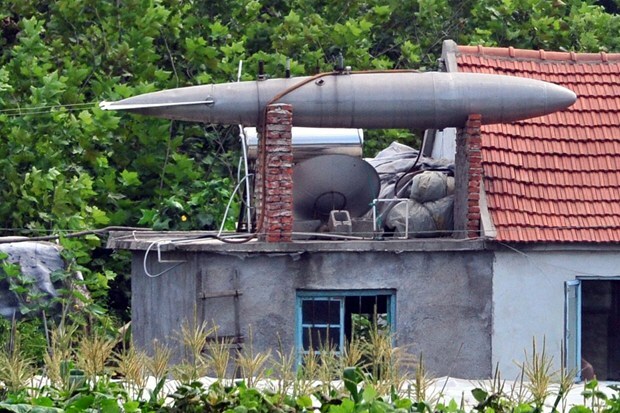 It is a dismantled fighter plane oil tank that a man in Yantai (China) turned into a solar water heater for his home. 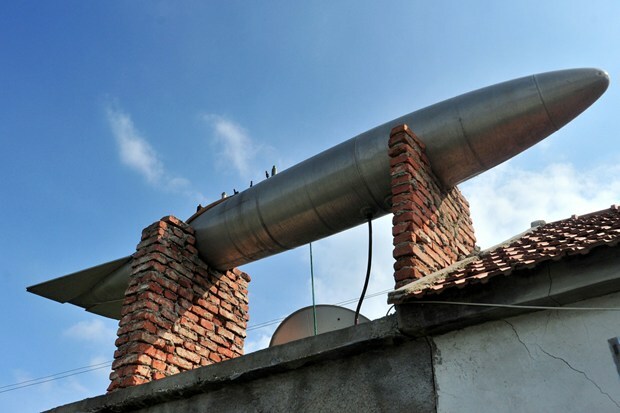 The man's wife said her husband found the tank in a pile of iron scrap at a local recycling station. I think it would be a remote possibility of finding one in Malaysia other than old rusted unexploded bombs used by the Japanese and the Allied Forces during the WW 2. You can read further at Wired. In Laos they made spoon out of the aluminium from these tanks.